I want perfect skin, and I want it now! The last couple of weeks, I have been using the same combination every day – I’m a little bit in love. I take a pump and a half of the MAC Pro Longwear foundation (NC15) with a small amount of the Charlotte Tilbury Light Wonder foundation (shade 2). I mix it on the back of my hand, and then buff it in with whichever brush is clean. 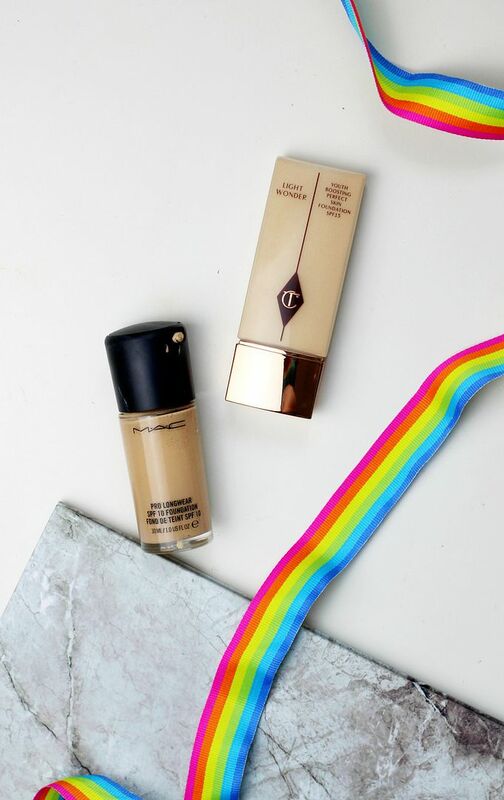 A long-wearing foundation means it stays in place all day and looks the same, and the hydrating foundation means it keeps the skin looking fresh. Mixing the two together means that you get to enjoy the qualities of both with compromise – I really enjoy mixing foundations because it means you get the best of both worlds. What’s your foundation favourite right now?